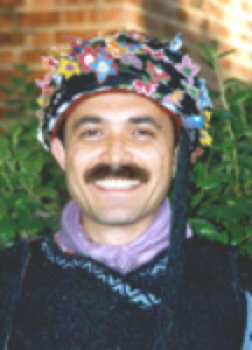 Ahmet Lüleci, a native of Turkey, is an accomplished folkdance teacher, performer, choreographer, and musician, as well as a researcher of Anatolian folk culture. Since his arrival in North America in 1985, he has been promoting the Turkish folklore all over the world, to amateur as well as professional groups. 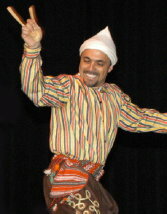 Ahmet has been performing Turkish folk dancing and music since the age of eight. At the age of 15, he became a dance instructor. He taught several ensembles in Ankara, Istanbul, Eskisehir, and Bursa. He has dnced with numerous school ensembles and private associations, many of which won outstanding awards in city-wide and national competitions. Between 1973 and 1985 he participated in international folk dance festivals and competitions throughout western and eastern Europe. Between 1973 and 1985, he participated in international dance festivals and competitions throughout western and eastern Europe. In addition, he taught ensembles that appeared in more than 60 programs broadcast nationally in Denmark, France, Germany, the Netherlands, and Turkey. In 1983, Ahmet met Tracy, a talented American musician performing at the Copenhagen international folk festival. After their marriage two years later, Tracy participated in two of Ankara's best folk dance associations and performed with Ahmet. She has learned to play kemençe, kabak, kemane, kaval, and kaşik. Her music serves as a fine accompaniment to Ahmet's performances and she often performs alongside him. 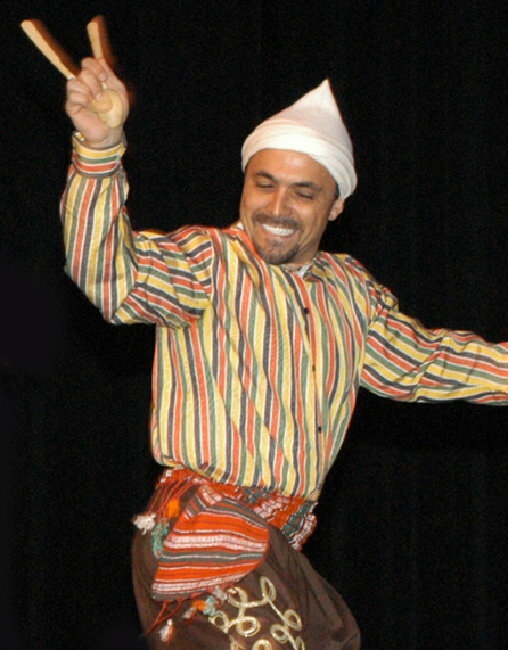 Ahmet served as Director of Dances for HOY-TUR, long considered one of Turkey's leading folk dance associations. In 1985, Ahmet's research on "The Culture in Southern Anatolia" won the first prize at the national competition held by "Youth Sport and Education Ministry." Since 1985 he has continued his work in the United States and Canada, Asia, Europe, and South America. In 1988, Ahmet became director of the Boston-based Kemençe Dance Ensemble. In 2001, as the Artistic Director of Collage International Dance Ensemble (formerly Kemençe), Ahmet received the Dance Umbrella Boston Moves 2001 Award, a commission to create a world-premiere work for Boston audiences. Ahmet choreographed a dance suite for the Brigham Young University International Folk Dance Ensemble and had the troupe's costumes specially made and shipped from Turkey. 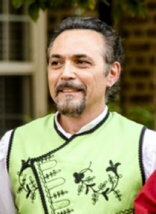 Some of the other notable perofrming ensembles with which he has worked include the famed AMAN Folk Ensemble of Los Angeles (in 1991, Ahmet joined AMAN's artistic staff as resident choreographer), Mandala of Boston, Massachusetts, Komenka of New Orleans, Louisiana, Tamzara of Boston, Massachusetts, Les Sortilèges of Montréal, Canada, Vinok of Edmonton, Canada, Omega of Honolulu, Hawaii, Tam ti Delam of Sept-Îles, Canada, and Kineskamie of Baie-Commeau, Canada. In his native Turkey, he has coreographed for Hoy-Tur, Tur-Hoy, and Gehem of Ankara, Anadolu Universitesi of Eskisehir, Butfod of Bursa, and Folkrur of İstanbul. Baglama and davul are the folk instruments Ahmet most enjoys playing. Indeed, his college major was music, with specialization in voice. Ahmet's love of folksongs and fascination with folk dance led him to conduct scholarly research into the historical, social, and cultural background of the costumes and spoon dances from Turkey's Mediterranean coast. In 1997, Ahmet completed a second degree in Fine Arts, specializing in Graphic Design. Ahmet has taught a the major folk dance camps in the United States and Canada, including the San Francisco Kolo Festival and the Stockton Folk Dance Camp in California, and continues to teach workshops throughout the United States from his home-base in Boston, Massachusetts. He has taught workshops and camps in Japan, Holland, and Germany. 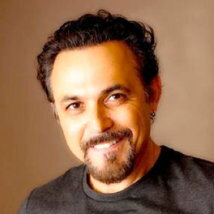 Ahmet is co-founder and co-director of the annual World Music & Dance Camp at Cape Cod, Massachussetts. Among Ahmet's publications are an exhaustive, 400-page folklore study on the folkdances of Turkey for which he was awarded First Place in the 1985 national competition in research on the folk dances by the Turkish Ministry of Youth, Sports, and Education. Dances Ahmet has taught include Acara Kı Horonu, Ağir Gövenk, Ağir Halay, Ağri, Ali Paşa, Arap, Arzu İle Kamber-Garaguna (Silivri), Başina Dödügüm, Basso, Bablekhan, Berde, Çamasirci Kiz, Canım Lerik, Čaya Vardim Zeybegi, Cilveli Oy, Çimençiçek, Cemo, Çimençiçek, Cirane-Lorke, Dambaşi, Delile, Döney, Duz Halay, Drida, Enzele Reksi, Eyiya, Felek, Galamatia, Gayda (Arnavut), Geresunda Kayiklar, Güktepe - Degirmen, Goltepe, Gozeli, Gudi, Gülsüm, Güvercin, Güvercin - Uzun Kavak, Hanım Ayşe - Eski Kasap, Harputlu, Hey Cane, Heyamo, Him Hime, Hir Hir, Horon Teperum, Hoy Memo, Hozanki, İspanyol Kasabı, İzzet Hoca, Kalenin Dibinde, Kara Tren, Kara Üzüm, Karadeniz, Karşilama, Kelekvan, Kerekes Héjsza, Kina, Kırıkcan, Kulaksız, Laçin, Livan Oy, Marmara, Men Gülem, Mendil, Meryem Ana, Meyroke, Mum Yakta Ara, Nare, Narino, Naz Can, Oropa, Ordu, Oğuzlu, Papatya, Pestemal, Rakkas, Rapatma, Roman, Şamatya, Şaşkin, Şavşat Barı, Sevda Horonu, Şevgo, Siksara, Şinanarı, Süsli Xanim, Teke Zortlatması, Teşi-Düz-Halay, Timbilli, Urfalıyam Ezelden, Uzun Kavak, Uzundere (Sahlan), Versun Davullar, Yengecan, and Yeni Hamam.